Editor’s Note: A version of this article was originally published at Evangelica Sola. It has been published here with permission from the author. I mean, I guess that makes sense? If we have Jesus, then why do we want or need to have another commitment? Therefore, small groups are extremely important to Christ for he himself modeled and lived before us. Here are five reasons why a small group is essential for church health. Small groups are a great way to become connected to the church. If you are part of a church with many programs, joining a small group will often fall to the bottom of the priority list. Living together in a mutual commitment to one another is hard to do. It requires a lot time and being in sometimes awkward situations. But it is not just for your sake that you should join a small group, but it is for the sake of others, who are also seeking to be connected to the church. We need to be honest with one another. That doesn’t happen just in the big crowd. And at the end of the day, small groups allow for building relationships. This is not to set up a battle of Sunday school vs. small group program. Instead, smaller church programs should start meeting in a circle, rather than in rows facing the speaker. This will allow for people to engage not just with the leader, but with one another. Over time, people will get to know other members and start being authentic, sharing their lives and stories together. Oftentimes we think of our faith as just a personal and private commitment. Part of it is because we live in an individualistic idea of, “This is how I will spend my time the way I want it, and you have no say.” This view has tremendously and negatively affected the way how we understand the church in the West. But we must realize our spiritual commitment of our lives are rooted within the local church (Hebrews 10:25). One-on-one with God doesn’t work unless you are worshiping corporately in a community with accountability. Small groups allow for confession and accountability. They enable the world to look upon the canvas of God’s people and see an authentic painting of Christ’s love and holiness, not a forgery. And your small group will lay down a pathway with guard rails and resting stations for the long journey of the Christian life. This idea of separating from Christ’s bride is a non-reality (John 15:1-17) In order to really abide in Jesus, we need one another as Christ is the Head and we are the body (Eph. 4:15). This abiding often is done in a small group where people fellowship and pray with one another. The overflow of grace in your life is the overflowing joy found in the body of believers. This can be seen such as Paul’s encouragement to Christians: “Let no corrupting talk come out of your mouths, but only such as is good for building up, as fits the occasion, that it may give grace to those who hear” (Eph. 4:29). Many people in your group may not open up. But the mark of true conversion is that overflow of the abundance of love vertically and horizontally for one another, even if others aren’t sharing (Matt. 22:37-40). For those who are going through a tough time or might not be saved, your voice in a small group can be the love they need (1 Thess. 5:14). Jesus lived in a small group context with his disciples. And even though this group was dysfunctional, Jesus chose this as a vehicle to build leaders and impact the world. I hope that is encouraging because living in authentic community is not easy and can get messy. In due time, the Lord will reap the harvest for those who have responded in obedience by sowing seeds diligently (Prov. 3:5-6). Let us care about our neighbor by living transformationally in Christ, especially in small groups. 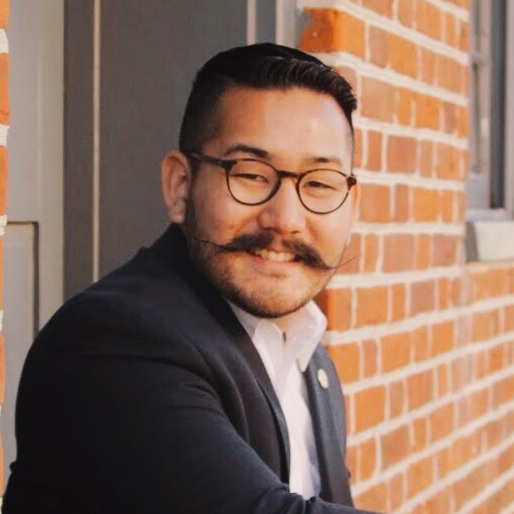 Jonathan Hayashi is a reformed Baptist, pastor theologian, Christian writer, and speaker. He currently serves as a pastoral staff at Troy First Baptist Church in Troy, MO. His love for the local church propels all he does, including his current pursuit of a Doctoral degree in Biblical Counseling at the Southern Baptist Theological Seminary in Louisville, KY. He is the author of Ordinary Radicals: A Return to Christ-Centered Discipleship (Lucid Books, 2018). You can follow Jonathan on Twitter @jonathanhayash or check out his personal blog, Evangelica Sola.